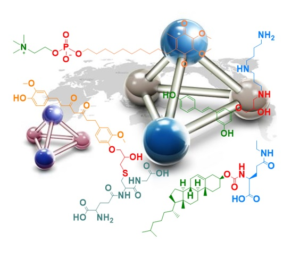 Novelconjugates.com, a new department affiliated to PE Biosciences, is specialized in the developing of novel conjugates between amino acids, oligopeptides, polyamines, bio-polymers, and phytochemicals with improved performance for medical research, bio-materials and cosmeceutical applications. Plants are being recognized as potential source of drug discovery and more than 80% of modern drugs are derived directly from natural sources (plants, microbes, cells etc.) or their molecules/compounds. Identification of bioactive compounds from plants has become a highly active area of pharmaceutical research. Phyto-derived bio-active compounds, known for their varied health benefits, enhance antibacterial, antifungal, anticarcinogenic, and anti-inflammatory biological actions. 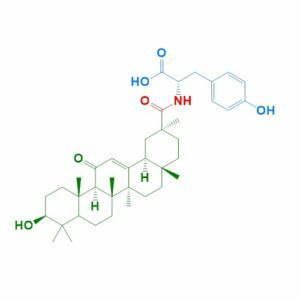 Several promising phytocompounds, such as, fisetin, epigallocatechin-3-gallate, resveratrol, curcumin, proanthocyanidins, silymarin, apigenin, capsaicin, genistein, indole-3-carbinol, and luteolin are gaining considerable attention and found in a variety of fresh fruits, vegetables, roots, and herbs. Currently there is huge tendency of conjugating amino acid/peptide residues with small phyto-derived bio-active compounds in the field of medical research. The conjugation of different amino acids/peptides to various biologically active phytocompounds has fetched the outstanding results as are very promising drug candidates. Additionally, the amino acid/peptide based drugs have low toxicity, ample bioavailability and permeability, modest potency and good metabolic and pharmacokinetic properties. Cancer is one of the leading cause of death worldwide. In 2012, 14.1 Million people were diagnosed with cancer and new cases with cancer is predicted to ascend by 70% over the next 20 years. Evidently, 69% of anticancer drugs approved between the 1980s and 2002 were either natural products or developed based on knowledge gained from natural substances. Natural compounds are indispensable not only as chemically established anticancer drugs (e.g. anthracyclines, Vinca alkaloids, taxanes, camptothecins etc. ), but also as lead compounds for the development of novel targeted chemotherapeutics with improved anti-tumor efficacy and fewer side effects. Conjugation of two antitumor agents with different mechanisms of action can possibly augment the potency of both compounds or reduce the side effects and drug-resistance development. Phytocompounds are gaining considerable attention because of their low toxicity, low cost, and public acceptance as dietary supplements. Phytocompounds used in cosmeceuticals include catechins, gallic acids, epicatechins, curcumin, hydroxylbenzoic and cinnamic acids, quercetin, ascorbic acids, luteolin, alpha and beta carotene, complex polysaccharides, and fatty acids. Even though various macrosized phytobioactive compounds are used in cosmeceutical formulations, their solubility and formulation type have limitations in enhancing the effect of phyto-based cosmeceuticals and therapy. The major limitations of phyto-based cosmeceutical therapy include less skin penetration, lower pro-longevity, less final quality and lower whitening effects. These qualities depend on the solubility and size of the active phytocompounds. Amino acid/peptide conjugates have been used as solubilizing agents for poorly water-soluble drugs. This leads us in search of novel amino acid/peptide-phytocompounds for enhanced skin health efficiency of cosmeceutical products. To produce a successful conjugates, selection of the linkage that exhibit bio-orthogonality, bond stability, and reversibility, as well as bio-compatibility plays an important role.Generally, the linkages (bonds) are stimulus-responsive, for example, responsive to an enzyme, pH, temperature, or irradiation. Conjugation based on amide, ester and disulfide bond formation, used in the earliest works, has been supplemented with organic carbamates, thiol–Maleimide reaction, and several chemo-selective reactions such as Heck, Sonogashira and Suzuki coupling, Diels-Alder cycloaddition, Click chemistry, Staudinger ligation, Michael’s addition, reductive alkylation and oxime/hydrazone chemistry. Conjugates have also been prepared by non-covalent coupling of functionalised polymers and proteins using bio-recognition.